Games, toys, and gifts: as much as they sell, they go through a tough competition to win a place on the shelves and then win the hearts and minds of the delinquents who have a thing for such products. This is not an easy task to take, but custom gift boxes make it an easier task. Custom made gift boxes with stunning graphics and appealing die-cut window panes, make it easier for a beholder to check the box, make it to the product and then the product as a fair chance of getting sold. These boxes demand a very high level of creativity and design efficiency. Why Get Custom Game Boxes? 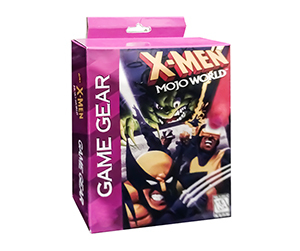 Custom game boxes are not the demand for the mere business of packaging and shipping. You can pack and ship your products in premade boxes and they will do absolutely fine. However, you will do this if your vision is a very limited and retarded one. A person who knows that a shipping box is not only a box but a golden chance to market their brand and grab more and more customers will never resort to the option of pre-made packaging. Custom made game boxes make it very convenient for companies to reach out to their target audience in a very smart and convincing way. What is in a Personalized Game Box? Personalized game boxes and gift boxes are called so because of the intense customizations made to them. These customizations are in terms of material as well as color and finish. It is actually these customizations that make it possible for these boxes to appear different and make a big impact. For example, material-wise, these boxes may vary from corrugated fiberboard to Kraft to plain cardboard options. Likewise, packaging companies offer two or more color models to choose from. PackagingBlue.Com offers CMYK and Pantone models. The finish options that we offer are gloss or matte. Apart from these very basic choices, there are many shapes, finish and design related options. You can choose from the die-cut window pane, PVC sheets, straight or reverse tuck, auto bottom, aqueous or UV protective coating, raised ink, embossing and debossing etc. Also, gluing, perforation and scoring options are also on the table. All these different choices make the difference and add to the overall look that entices the beholders into having a keen look at the product, and perhaps buying it. Why Get Customized Game Boxes from PackagingBlue.Com? PackagingBlue.Com stands out of the crowd because of its top-notch packaging practices. We have a three-fold sales process. 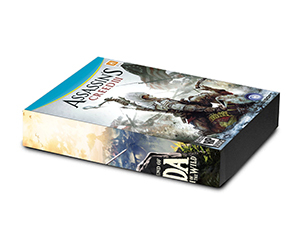 The customized game boxes that we provide go through a lengthy process. First, you talk to, our customer support team and share your concerns with them. They address your concerns and queries and put you through to the sales team. On this occasion, sales team verifies the technical details such as number, size, shape, and other details. Once they get the order, they reconfirm the details and convey them to the packaging and quality teams. Once our packaging engineers and experts print all custom game boxes as per your requirement, they send the boxes over to quality assurance personnel and they check the boxes for compliance with your order’s details. This takes maximum 3 to 4 business days and you get your game boxes without any shipping charges. Still got some questions in mind? No problem, if you want to learn more about our custom game box packaging, please contact our 24/7 customer support team right now.